Publisher Haymarket, is deploying Google Apps for Business and Google Apps Vault in the UK and US. Publishing group Haymarket has deployed Google Apps for Business and Google Apps Vault, ditching Microsoft in the process. The publisher joins a fast growing group of multi-national organisations that have switched to cloud computing services, hoping to enable growth and improve business communications across the globe. As Computer Weekly reported earlier this month, global HR firm Randstad has standardised globally on the Google cloud platform, despite having to work through complex legal and contractural issues to deploy it across countries with incompatible data laws. Haymarket selected Google partner Grove Group to implement the communications and collaboration system in 14 locations across the UK and US. The platform will be used to improve communication and collaboration between global teams and support rapid product development and innovation. 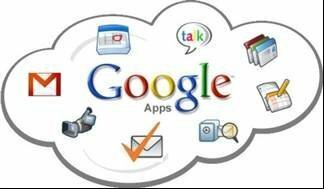 Haymarket believes the Google platform will also enhance productivity within the company. The Google platform will replace Microsoft Exchange Server 2003. “In planning to replace our existing Microsoft Exchange 2003 system, we calculated Google Apps would help us achieve key business outcomes at a competitive price,” Turner added. Over five million businesses worldwide have already chosen Google, according the the US giant.